No matter how long a writer might take to craft the perfect story, unforgettable characters, or crazy twist ending, a good fan theory can blow it out of the water. Most of the time, they're only meant to give fans a bit of fun, or a wild idea to debate. But sometimes, they actually can answer questions left unresolved, or get fans to love heroes and villains more than they ever thought possible. Here are Screen Rant's 10 Movie Theories That Completely Change Amazing Films. Steven Spielberg's adorable alien movie had every kid wishing they had their own E.T. to look after. But George Lucas took his friend's reference to Star Wars - when E.T. seems to recognize a Yoda Halloween costume - and raised him a shared universe, including members of his species in the Senate of his Star Wars prequels. But if E.T. exists in the Star Wars mythology, his adorable abilities start to look different. The fact that he can raise Elliott's bike into the air, or heal his finger with the The Force. But only one kind of Force user can bring the dead back to life, or resurrect themselves. How the movie changes when you consider the odds of E.T. being a Sith lord... well, that's up to fans to decide. There's no way around it: Willy Wonka had to rely on some magic to make his famous candy. But one fan theory claims that the troublemaking, red-haired Wonka is no random wizard: he's actually George Weasley from the Harry Potter series in disguise. It's a wild theory, but the evidence is shocking. For starters, George and his twin Fred invented similar kinds of candy in their own store, before Fred was killed by Death Eaters. There's even George's missing ear, blown off in The Deathly Hallows with Wonka alluding to the same injury. It's the opposite ear, but that actually fits the Weasley's sense of humor. Finally, there's the elf-like Oompa Loompas who do all his work, and the evidence that George took his twin's death harder than fans realized. How else do you explain Wonka's office, with every single item sliced perfectly in half? At least he found a friend in Charlie. Even though the story of Fight Club and Project Mayhem is packed with twists, fans can't help but look for even more mysteries hidden within it. Or, in the case of one of the funnier fan theories, outside of it. The narrator of the story is never actually named, so fans have come up with one of their own: Calvin, as in "Calvin and Hobbes," the popular comic strip following a young boy and his troublemaking imaginary tiger. The theory says that Calvin eventually had to give up his imaginary friend, bottling up his rebel spirit and joining the working masses. Until he reaches a breaking point, and his fun-loving, occasionally destructive and subversive friend returns - this time, in the form of a man, but every bit as wild. Is it true? Probably not. But it shows why fan theories can be even better than a movie's own script. 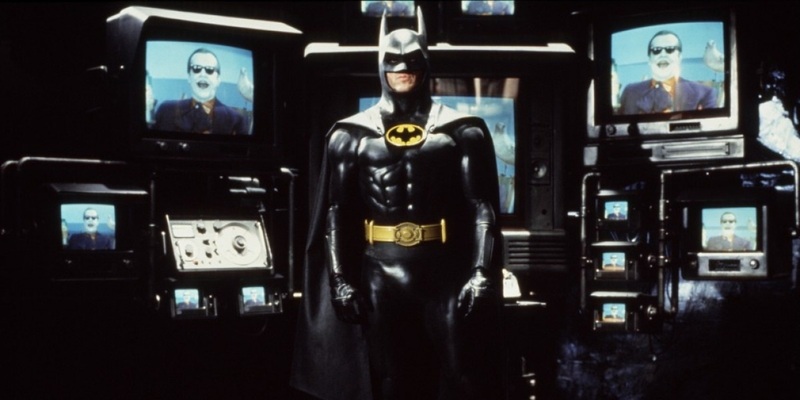 Fans of the Dark Knight weren't just outraged when Michael Keaton was cast as Tim Burton's Batman, but at the new twist on his origin story. In the comics, it was a random mugger named Joe Chill who killed Bruce Wayne's parents, but in the big screen version, it was Jack Nicholson's Joker, decades before he would become his green-haired alter ego. Taking down his parents' killer is a major plot point, but some fans have wondered if the change is more than it seems. According to their theory, The Joker never actually killed Bruce's parents - that's just a lie he tells himself, blaming each new supervillain for the same crime. It shows Bruce is more damaged and tortured than fans realized, giving the movie an even darker tone. Who says a fan theory has to be perfectly believable? Sometimes, it's better if it's just fun to consider. Before movie fans even knew Jared Leto by name, he was cracking ribs as a member of - you guessed it - Fight Club. In fact, he was Tyler Durden's favorite pupil, which was why the narrator had to leave him brutally beaten, with only a handful of teeth. Fast forward over a decade and a half, and the first image of Leto's Joker in the Suicide Squad movie had fans suspicious. A crazed student of chaos and crime, just like Durden, with false metal teeth, played by the same actor? 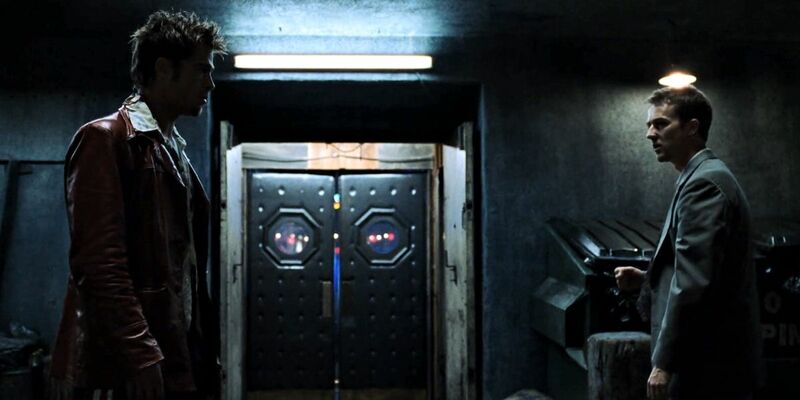 The studio may not have ever intended to imply their Joker could be Fight Club's Angel Face all grown up, but for the fans, the similarities were too perfect to ignore. When a young girl's body shows up bearing signs of a shark attack, the small town's mayor goes into damage control, trying to keep the new police chief from closing the beaches, chalking the girl's death up to a boating accident. But what if Brody just stopped a cover-up that had run for years? The city's leaders claim the girl isn't the first to die while swimming, stating that "it's happened before," and it's only when an outside expert is brought in that the "boating accident" excuse is blown to pieces. It's easy to believe the mayor is evil enough to plant a tiger shark to take the blame, but we'll never know how many citizens wound up in a shark's belly, just to be covered up by the town authorities. Quentin Tarantino's two-part martial arts manhunt says all it needs to in the title: Uma Thurman's Bride is out to Kill Bill, her former mentor. And in the second film, she finally finishes the job... or does she? In the end credits, the characters on The Bride's hit list all are crossed out, a sign that she killed them along the way. All Except Daryl Hannah, who wasn't killed, just left for dead in the desert (minus her eyes). But David Carradine's name isn't marked at all, implying that The Bride DIDN'T kill Bill after all. Was he faking his death? The added detail in the credits wouldn't make sense if he wasn't, but the director isn't giving an official answer any time soon. Once the hero Jake Sully is accepted by the natives of Pandora, he learns that the tribe's power over other animals lies in their ponytails. When they link with the rest of the planet's wildlife, a bond is formed, permanently linking them together. The most important link comes when Jake bonds directly with the life force behind the entire moon. When he wakes up, he leaves his human allies behind, and leads the natives to victory. So some have asked: did Jake really decide to do the right thing, or did the life force he bonded with command him to do it, just like he controlled animals before? It all worked out in the end, but it makes you see the hero in a completely different light. The prequel trilogy caused plenty of plot problems with the original Star Wars story, with these two characters chief among them. The problem? Why would Chewbacca have kept quiet about knowing the Jedi Yoda this entire time, and why would R2D2 keep his knowledge of Darth Vader's true identity all to himself? Some fans have offered a fun solution, claiming Han Solo's co-pilot and the droid were secret agents of the Rebellion the entire time. It may have seemed like coincidence, but what if R2D2 knew exactly where to look for Luke Skywalker? And what if the meeting between Obi-Wan and Chewie was more than just a job intervie, but an order given to lead Han Solo into the Rebel Alliance? There's no way to ever prove it, but that doesn't mean it isn't worth considering. Fans of the galaxy far, far away knows just how many Star Wars easter eggs wound up in the Indiana Jones series, as a tribute by director Steven Spielberg to his producer and friend, George Lucas. But fans have come up with an even funnier explanation. Since Han Solo was frozen in carbonite in The Empire Strikes Back, and the first Indiana Jones movie was released a year later, fans claim Indy is nothing but the dream of a frozen Han. Those are some of the funnier or mindblowing theories we've found among fans, but which ones are your favorites? Let us know in the comments, and remember to subscribe to our YouTube channel for more videos like this one.